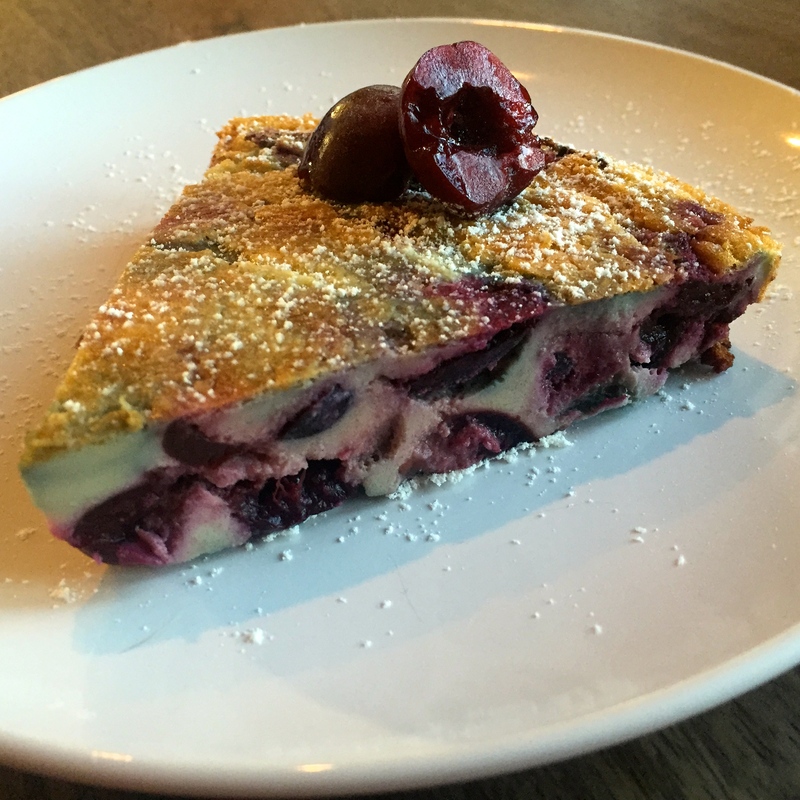 Clafoutis is a traditional French dessert of fruit, typically black cherries baked in a thick custard. Compared with traditional French cuisine, particularly pastry, Clafoutis is relatively tame on the naughty meter as it contains very little butter. But I knew I could make it healthier so much so that you could enjoy DESSERT FOR BREAKFAST! 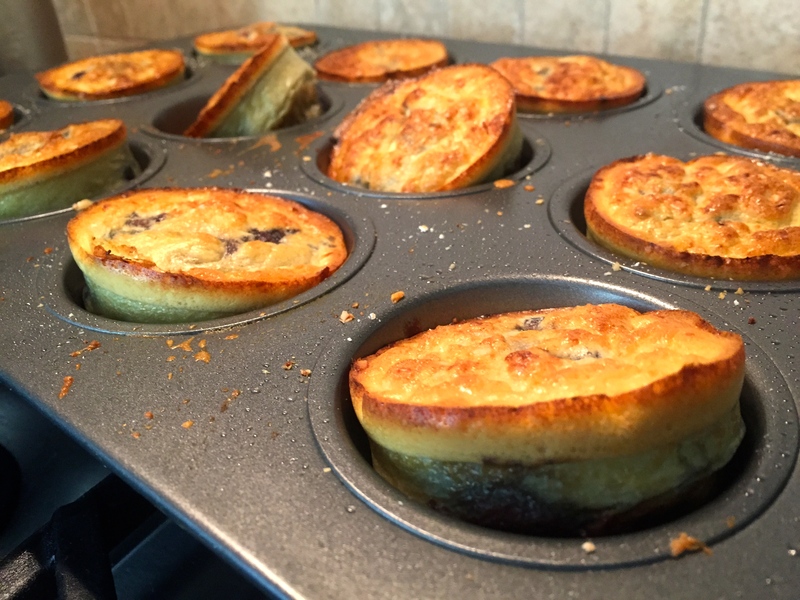 Clafoutis is basically a sweet version of FRITTATA! 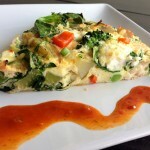 We all know eggs are the gold standard of natural protein sources for breakfast, even better with 2:1 ratio of whites to yolks (Read: EGGS ARE NOT THE ENEMY), but if you tire of scrambles and omelets, here’s an alternative to break the monotony. Plus, this will satisfy the sweet craving we all get, especially after giving up the cereal, oatmeal, granola, French toast, and other indulgently sweet breakfasts we enjoyed before we knew what all that sugar was doing to our bods. 6. eliminated powdered sugar on top (for pure vanity, I dusted slice in photo with a pinch of Byron’s whey protein powder, but it had zero impact on taste). *As always, please choose organic ingredients, for YOUR health! Preheat oven to 375 degrees F. Use 1tsp coconut oil or spray to “grease bottom and sides of either a deep dish pie plate or another 8+ cup shallow baking dish. Distribute pitted cherries along the dish. Place all remaining ingredients in blender and blend. Gently pour batter around and over the cherries. Top with additional slivered almonds if desired. To avoid burning top, cover dish with aluminum foil. Place in oven on middle shelf and set timer for 15 minutes, at which time you can remove the foil and check on it. Bake another 8-12 minutes depending on thickness. Clafoutis baked when a knife inserted into the center comes out clean. 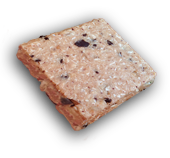 Yields: 3-4 breakfast servings or 8 dessert/snack servings. * Make your own GF flour! In high-powered blender finely blitz ¼ cup GF Old Fashioned Rolled Oats + 5 blanched almonds, before adding remaining ingredients. Unlike most GF flours, oats will neither muddy color of Clafoutis nor make it too dense and/or visibly separate, as if using all raw nut flour. However, I do prefer a few almonds…their nutty flavor both compliments and enriches the flavor of its relative stone fruit: cherries. ** Clafoutis typically uses vanilla extract, which I’d use 1Tbsp of if you choose another fruit. But for reason above, I chose almond extract to complement those delicious cherries! Highly recommend Neisen-Massey’s Almond Extract. Almond extract can be particularly overpowering given high alcohol content. NM strikes a perfect balance between potency and complimentary (vs. masking) flavor in recipes. Cut down baking time to 10-12 minutes total by baking in muffin tins. 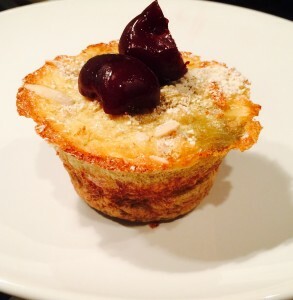 Client Jaclyn and I had a blast baking Mini Cherry Clafoutis! Recipe yields around 12 minis. Enjoy 3 for breakfast!